Tolstoy produced many drafts of Anna Karenina. Crafting and recrafting each sentence with careful intent, he was anything but casual in his use of language. His project, translator Marian Schwartz observes, “was to bend language to his will, as an instrument of his aesthetic and moral convictions.” In her magnificent new translation, Schwartz embraces Tolstoy’s unusual style—she is the first English language translator ever to do so. Marian Schwartz has translated over sixty volumes of Russian classic and contemporary fiction, history, biography, criticism, and fine art. She is the principal English translator of the works of Nina Berberova and translated the New York Times’ bestseller The Last Tsar, by Edvard Radzinsky, as well as classics by Mikhail Bulgakov, Ivan Goncharov, Yuri Olesha, and Mikhail Lermontov. She is the recipient of two National Endowment for the Arts translation fellowships and the 2014 Read Russia Prize for Best Translation of Contemporary Russian Literature and is a past president of the American Literary Translators Association. Can't make it to the event? Order a signed, personalized copy of the book. We ship worldwide. Leo Tolstoy's book A Confession was available from LibraryThing Early Reviewers. Leo Tolstoy's book Leo Tolstoy's 20 Greatest Short Stories was available from LibraryThing Early Reviewers. Leo Tolstoy is currently considered a "single author." If one or more works are by a distinct, homonymous authors, go ahead and split the author. 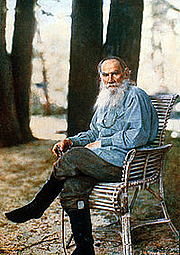 Leo Tolstoy is composed of 333 names. You can examine and separate out names.